In one of the most deceptively simple installations at the New-York Historical Society, visitors can’t stop looking, reading, absorbing, talking, and pointing. 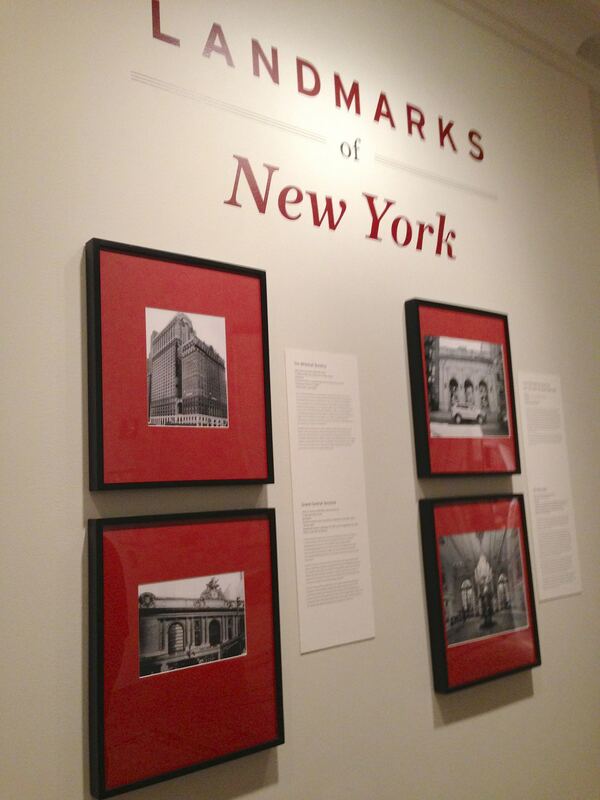 The Landmarks of New York show was humming all last weekend, with exhibition goers moving up and down the staid second-floor hallway, quietly moving from photo to photo learning stuff about buildings they’ve seen a million times. Did you ever think the entire history of New York could be told in 90 identically framed photographs? Take a look at a few of the 1,287 landmarked buildings in NYC. Since the NYHS web site does not contain any of these buildings’ compelling stories, run up to their second floor before the show closes. The show pays tribute the 1965 Landmarks Law and resulting Landmarks Commission, established in the wake of the greatest architectural disaster in the history of the modern City – the 1963 destruction of the historic Penn Station. Today, 30,000 structures are protected, and the photos show you some of the exteriors, interiors, and scenic landmarks of our five boroughs. Which are the oldest? 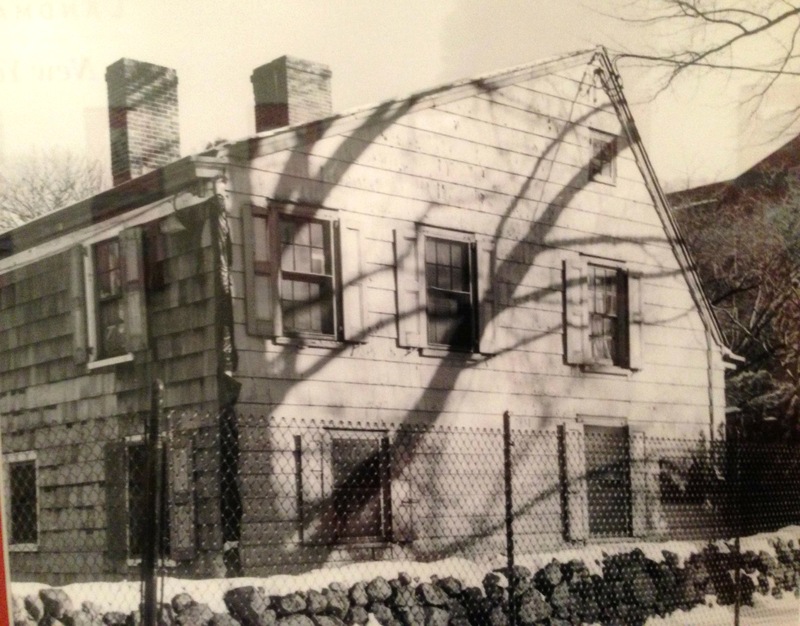 The Wyckoff House, built sometime before 1641, at 5816 Clarendon Road, Brooklyn, and the oldest surviving home in Queens, the 1661 John Bowne House. The label copy says that Bowne had a huge flare-up with Peter Stuyvesant over his ban on the Quaker religion (actually, he was arrested), which led Bowne to lend his sliver of Flushing to regular meetings of the Quaker community. Nothing in Manhattan even come close, although 1764 St. Paul’s Chapel is the oldest surviving church. Did you know it was modeled upon St. Martin-in-the-Fields on London’s Trafalgar Square? This exhibit is packed with story after story of places you pass all the time. Charlie Parker’s Residence at 151 Avenue B is a landmark, partly because Charlie lived there between 1950-1954, but also because Franz Kline did, too. Lucky for us, that the City has posted all of the Historic District Maps for each borough. Or go to the interactive city map and click on “Landmarks” to see what’s in your neighborhood. Who knew Greenpoint has the Eberhard Faber Pencil Company Historic District? Adventures await. Get to know a building. This entry was posted in Art, History, Museums and tagged architecture, Brooklyn, culture, design, history, museums, photography by mssusanb. Bookmark the permalink. Franz Kline and Charlie Parker, who knew. Great post! Thanks! I’m glad you thought that was as interesting as I did!